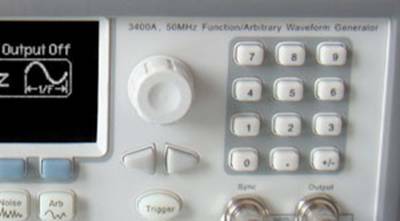 The 3400A is the high performance 50MHz Waveform Generator. It can create stable, precise, clean and low distortion sine waves by using DDS (Direct Digital Synthesis) Technology. With fast rise and fall times up to 25MHz for square waves and 200KHz for linear ramp waves. 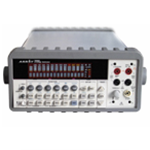 The 3400A also can generate variable-edge-time pulses up to 10MHz and generate complex custom waveforms. Model 3400A là bộ tạo dạng sóng 50MHz hiệu suất cao. Nó có thể tạo ra các sóng sine có nhiễu ồn thấp, đẹp, chính xác và ổn định bằng cách sử dụng công nghệ DDS mới nhất. Với thời gian tăng lên và giảm xuống nhanh tới 25MHz cho các sóng vuông và 200kHz cho các dóng tam giác tuyến tính. Máy 3400A cũng có thể tạo ra các xung có sườn thời gian biến đổi tới 10MHz và tạo ra các dạng sóng hiệu chỉnh phức tạp. 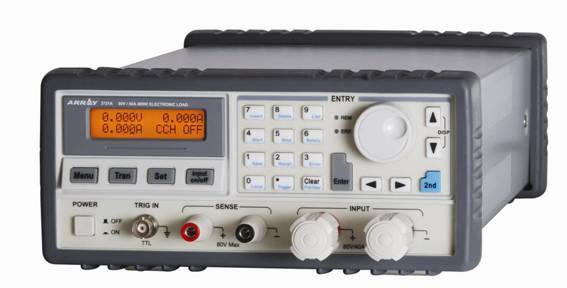 3400A 50MHz Function / Arbitrary Waveform Generator can create stable, precise, clean and low distortion sine waves by using DDS (Direct Digital Synthesis) Technology. 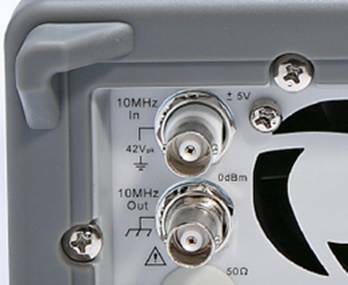 With fast rise and fall times up to 25 MHz for square waves and 200KHz for linear ramp waves , the 3400A also can reach users' demand on waveforms. 3400A can generate variable-edge-time pulses up to 10MHz. With variable period, pulse width and amplitude the 3400A is perfectly suited to applications requiring a flexible pulse signal. 3400A can generate complex custom waveforms. With 14-bit resolution, and 125 MSa/s sampling rate, the 3400A offers users the flexibility to create waveforms. It also allows users to store up to 5 waveforms, 4 (4 x 256K Points) in nonvolatile memory and 1 in volatile memory. Waveform Editor Software Wavepatt allows users to create, edit and download complex waveforms. In addition, users can retrieve waveforms from Agilent Oscilloscope MSO 8104 by using the Wavepatt. User can use Wavepatt? to creat and store 16-bit data in 3400A. The data can be transmited via Pattern Out from 3400A rear panel as source for control. The front-panel operation of 3400A is simple and user friendly. Users can enter all functions with a single key or two, and use knob or numeric keypad to adjust frequency, amplitude, offset and other parameters. Otherwise, users can also directly input voltage values in Vpp, Vrms, dBm or high & low levels. Timing parameters can be entered in Hertz (Hz) or second. 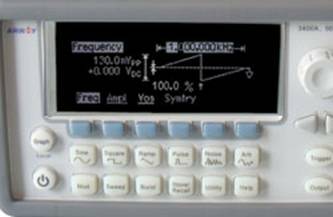 The 3400A external frequency reference allows users synchronizing to an external 10 MHz clock, to another 3400A, or any other unit which can support 10-MHz-frequency-input function.